This morning, I attended a distinguished science lecture series organised by the Science Teachers Association of Singapore (STAS) and the Singapore Science Centre. This happened to be the first lecture series organised by STAS. The guest speaker to kick start the inaugural lecture series is Professor Leo Tan. The first Distinguished Science Lecture Series. Prof Leo Tan is a professor of Biological Sciences, Director of Special Projects, Faculty of Science, National University of Singapore. He is also a Fellow of the National Academy of Science, Singapore. 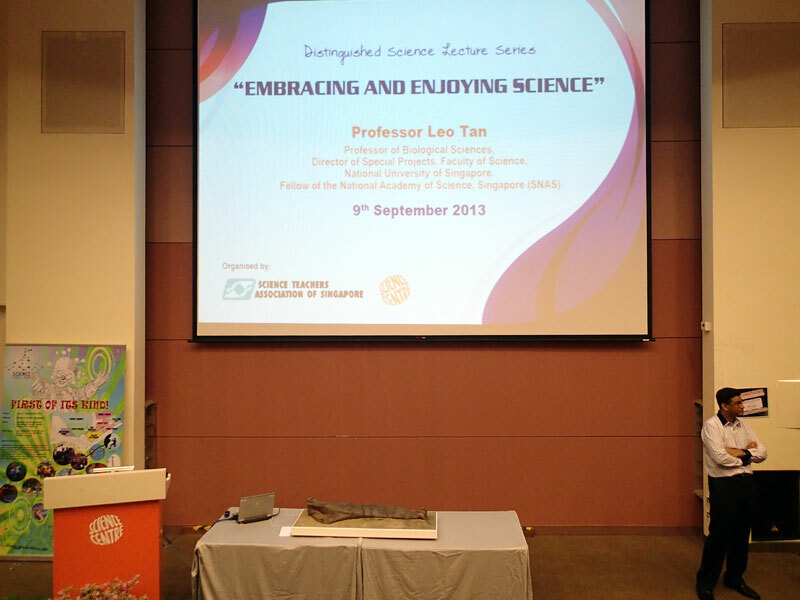 The topic for today's lecture is "Embracing and Enjoying Science". 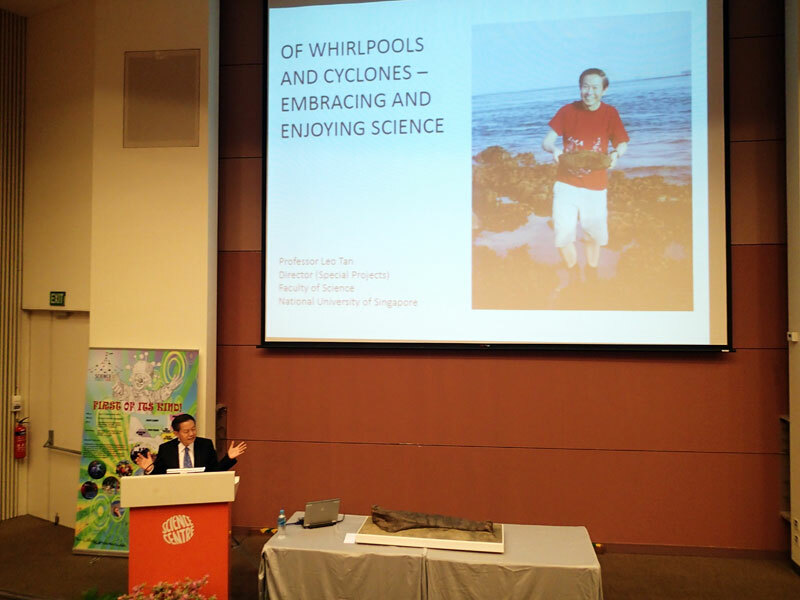 "Of Whirlpools and Cyclones - Embracing and Enjoying Science"
Prof Tan shared with the audience about the many difficulties and challenges he faced in the world of science since he was an undergraduate till now and he describes them as whirlpools and cyclones. He first talked about the meaning of science for different groups. 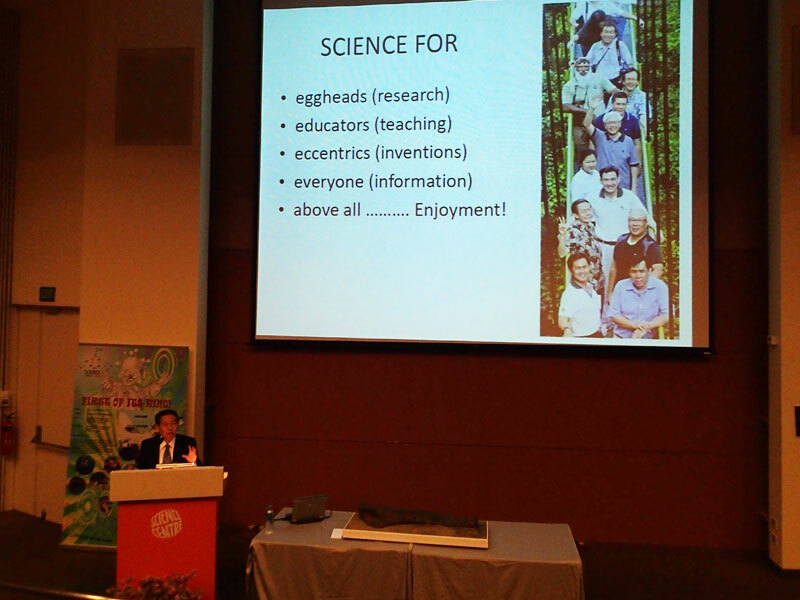 Then Prof Tan shared about the challenges he faced from the life of an undergraduate to PhD at University of Singapore. Then, Prof Tan had a dream. His dream was to become a marine biologist. Marine biology was not well developed at the then University of Singapore that time and the job prospects was minimal but Prof Tan did not give up on his dream and he persevered. When Prof Tan became a lecturer at the university, he was asked to teach topics outside of his area of study. The audience of science teachers could relate to this very well as we often face this challenge in schools. This is especially true when teaching lower secondary students as the syllabus covers the 3 sciences (Biology, Chemistry and Physics) and science teachers would have to teach at least one science out of their specialised science(s). Prof Tan did not object to these assigned lectures. He took it up as a challenge to read beyond his field and this made himself indispensable in the department. At the same time, he lost his research site at Tanah Merah due to land reclamation for Changi Airport's second runway and all the marine animals got buried under the sand. Furthermore he witnessed the lost of many beaches around Singapore as industrialisation began and land reclamation happened in full force to expand Singapore's land area. 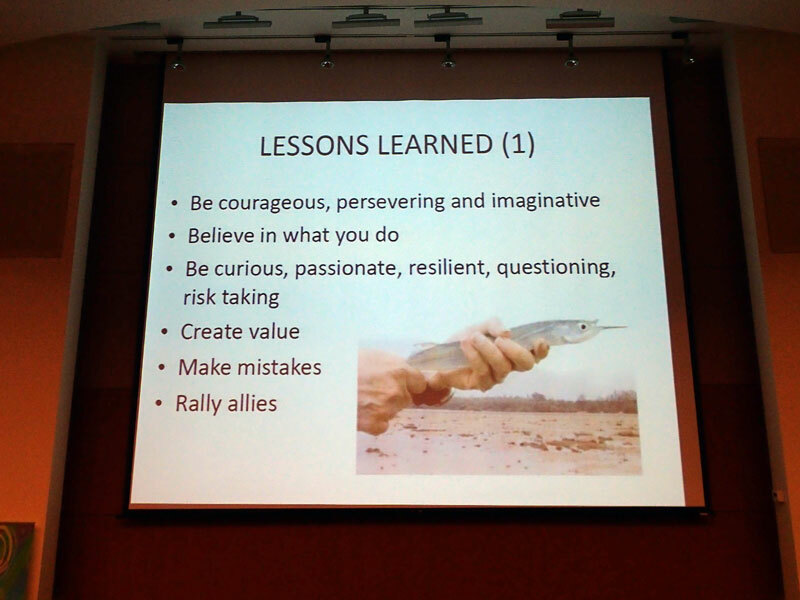 In this first part, Prof Tan highlighted a few lessons learnt. Of the points he covered, I remembered two points deeply - questioning and make mistakes. Questioning in terms of "Why", "How", "What". With continual questioning, either at yourself or others, there is a strong will to get the answer to the questions and this is how many people succeed. Though the process of obtaining the answer may be of great challenge, difficulty and may not be instantaneous, you will eventually get the answer. Asian parents like to ask their children "Have you...." or "What did you....", which does not allow children to think deeper in their reasoning or answers. Why not change to "Why does it happen this way? ", "How is it possible." or even "What happens if I do it this way?" Everyone makes mistakes and there is nothing wrong with making mistakes. Each of us grow and develop ourselves through the mistakes made. 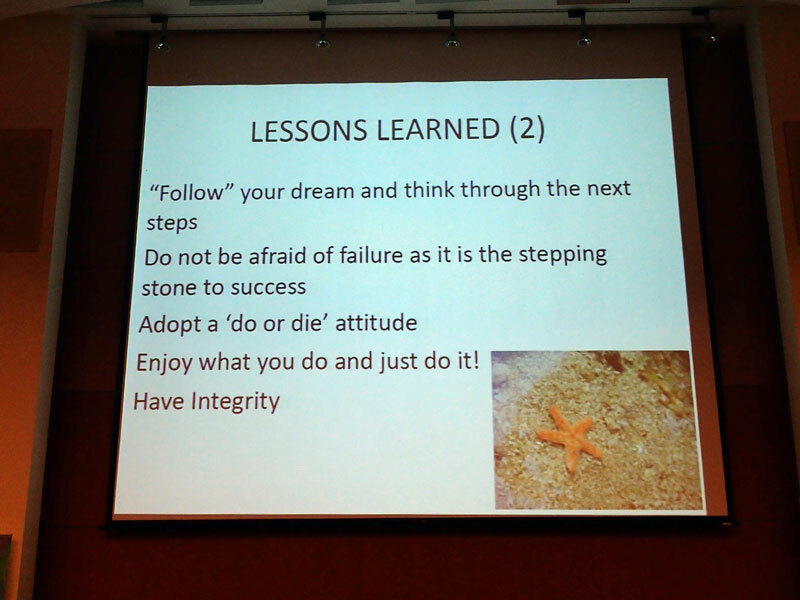 Prof Tan made a very valid point in this talk, "Make mistakes, but never make the same mistakes again. Make NEW mistakes.". It is through new mistakes that you and I realise that certain methods, procedures or technique is not acceptable or does not work in various context. And we understand from our mistakes where we have gone wrong and try to improve ourselves. It may take a very long time to reach the end point but in every tiny step is a learning experience that can benefit yourself and/or everyone around us and eventually it will lead us to the end point. Prof Tan's first whirlpool experience happened when he was asked to lead the Singapore Science Centre. It was a whirlpool for Prof Tan as the Science Centre then was not well established and many did not recognise the value of it. The public did not think highly of learning science in a non-formal manner. 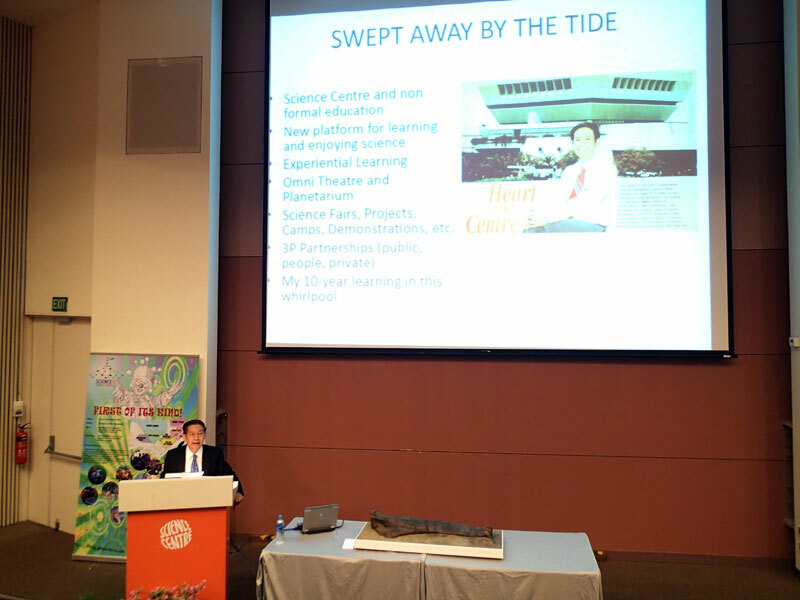 However Prof Tan took up this challenge and viewed Science Centre as a new platform for learning and enjoying science in an unconventional way. The Omni Theatre and Planetarium was built under his leadership and activities such as science fairs, projects, camps and demonstrations were organised to create experiential learning for visitors. Prof Tan valued partnerships of public, people and private industry. I learnt that Science Centre grew in popularity as a place for learning and enjoying science not through hard selling and publicity, but through word of mouth of visitors and it is a very powerful tool. His second whirlpool came after serving 10 years at the Science Centre and was asked to lead the National Institute of Education (NIE) where he served for 18 years. In NIE, he created new beginnings for the professional development of teachers, introduced the Bachelor's degree in Education (Science or Arts), changing mindsets of staff and paradigms of teaching/ learning among others. 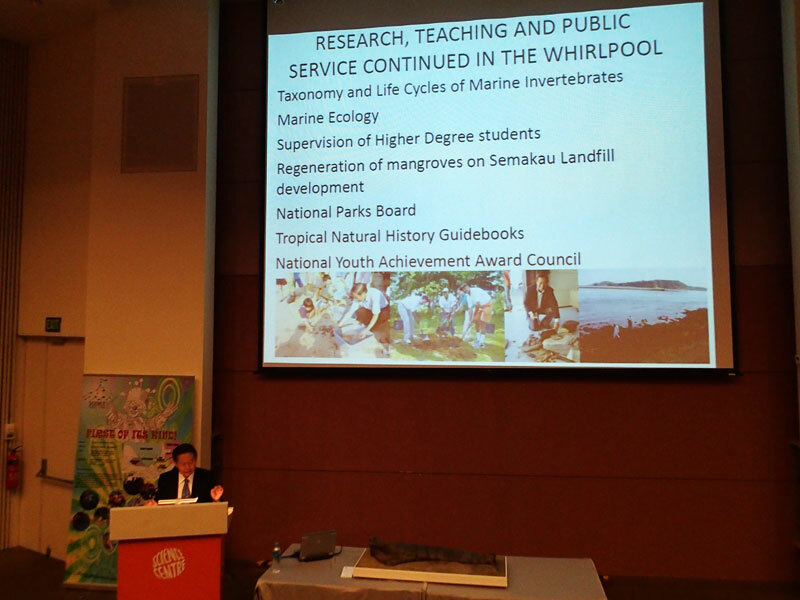 The whirlpools continued as Prof Tan was asked to serve in other organisations and handled other responsibilities or projects. I could understand that despite being thrown into whirlpools after another, Prof Tan had always believed in himself and think about the positive things he is going to achieve each day at work. He was able transform the whirlpool into his playground. Everyone has a dream. The dream may change from time to time, or new dreams are formed when the old dreams gets fulfilled. 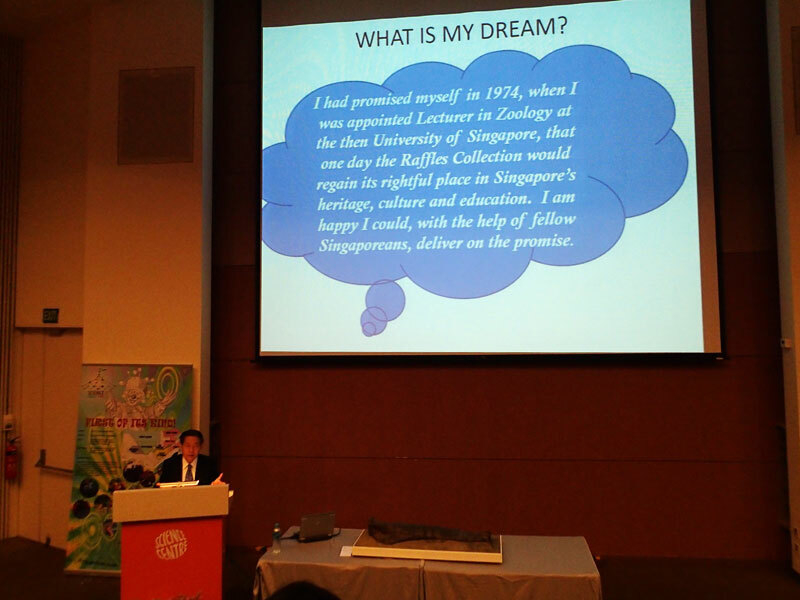 At each part of the journey, Prof Tan had a dream. Currently, he is working on fulfilling one big dream that he had - restoring the Raffles Collection. would regain its rightful place in Singapore's heritage, culture and education. I am happy I could, with the help of fellow Singaporeans, deliver on the promise." 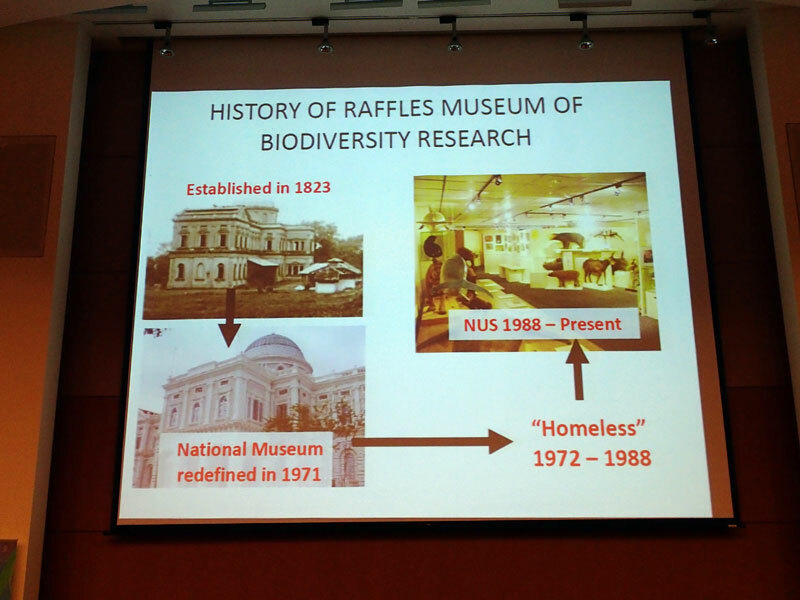 He then shared the history of Raffles Museum of Biodiversity Research (RMBR) since it was established in 1823. There was a period of time from 1972 to 1988 where Raffles Museum was "Homeless". The current location of RMBR at the Faculty of Science, NUS is getting too small for its growing population of specimen collections. Furthermore the public gallery could only display a tiny fraction of the museum's collections. 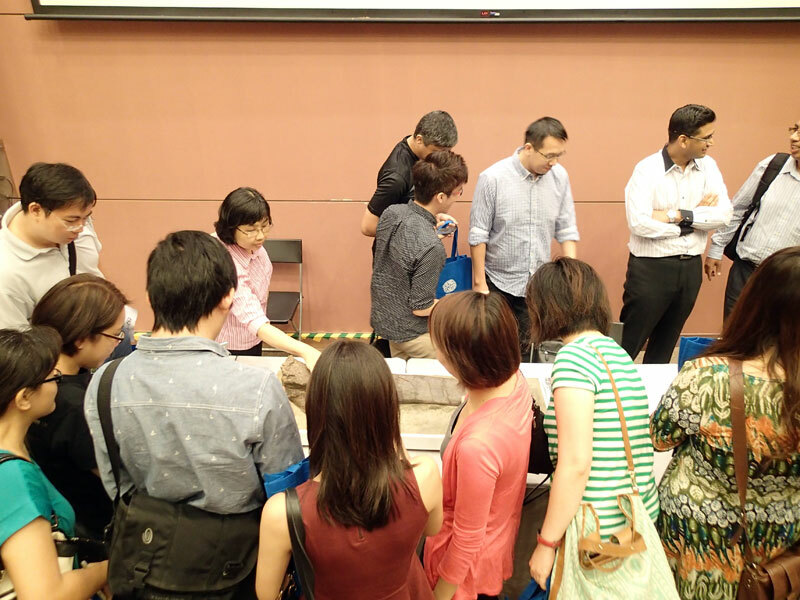 With the new Lee Kong Chian Natural History Museum in construction, the museum's collections will be housed in a larger building where more specimens can be displayed for public viewing, including three dinosaurs which Prof Tan and his team fought very hard to raise money to purchase them. Enjoy what you do and just do it! I think I need to work harder on some areas. 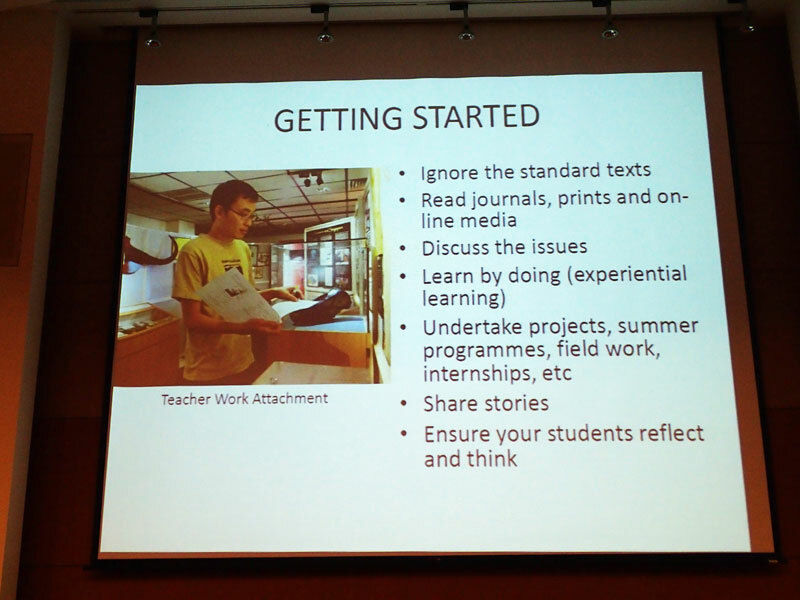 In December last year, I did a Teacher's Work Attachment with RMBR and you read about it here. I must say that it takes great effort to excite students close to the same level as you have about doing something, but it is not impossible. There will be students who will never show the slightest interest in your very passionate sharing with the class. They are not in the same interest frequency as you are. 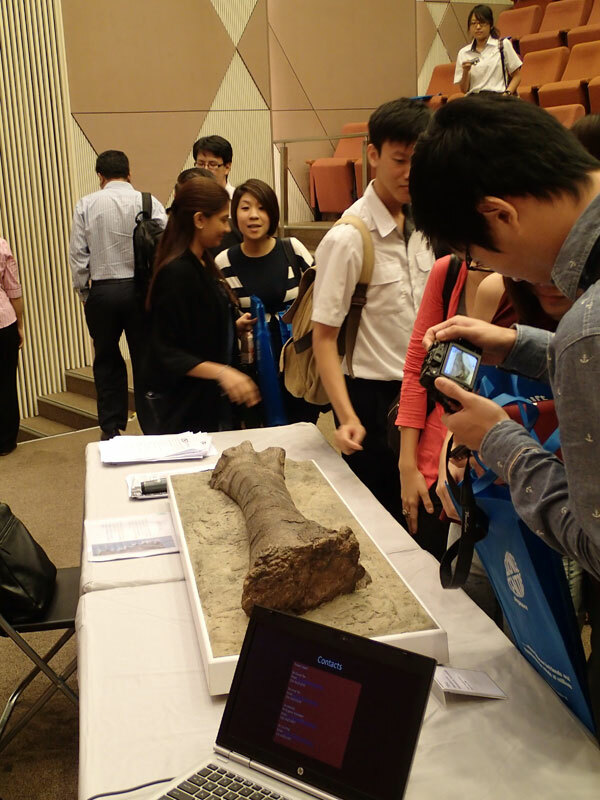 This year I tried exposing my class to Singapore's marine biodiversity through verbal sharing and videos. I just have to talk about the interesting parts/ facts or observations and I would say that majority of them enjoyed it. Some may have be inspired by the sharing I did in class. 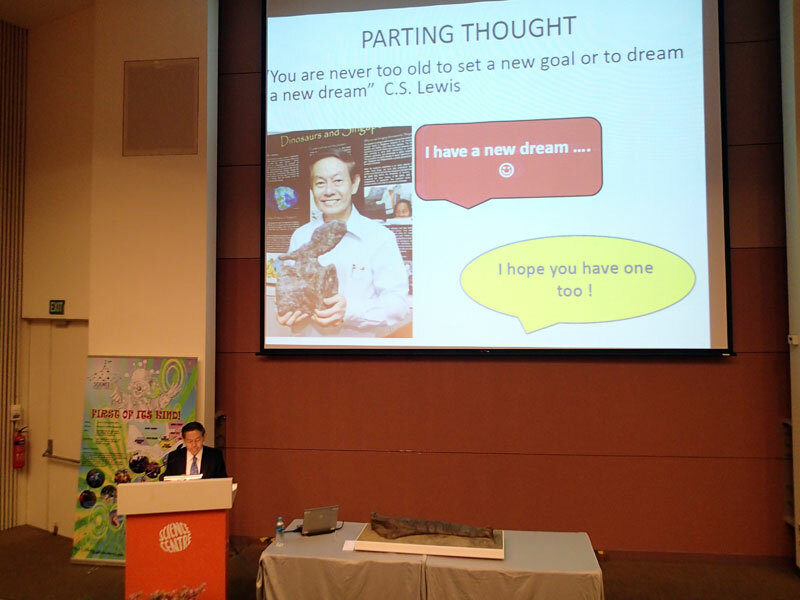 On the parting note, Prof Tan commented to the audience, "I have a new dream... I hope you have one too!" 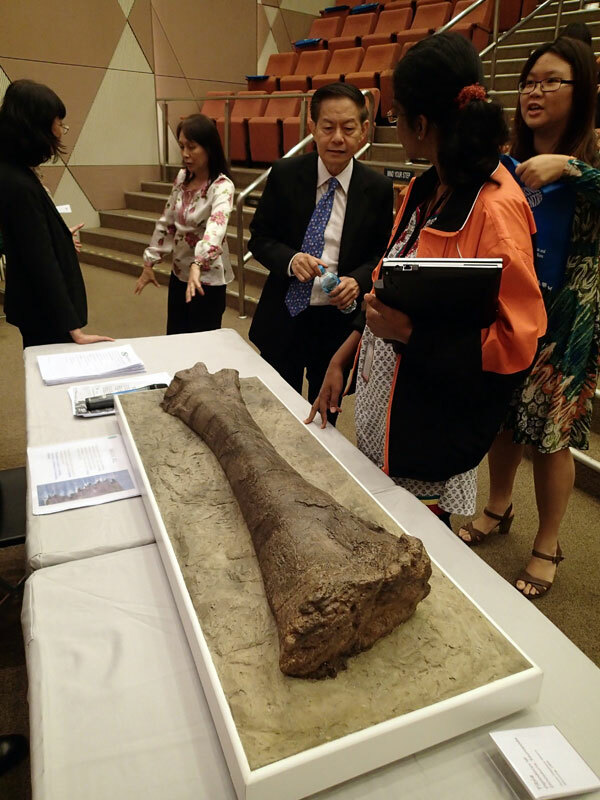 At the end of the talk, everyone is welcomed to feel and take photo of the dinosaur bone on display. The bone on display is a Tibia bone of Diplodocus sp. 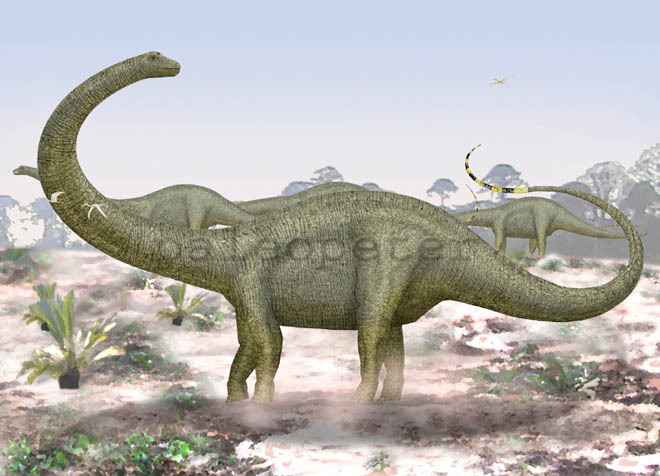 (Dinosauria, Sauropoda) from Howe-Stephens Quarry, Wyoming, 1994. It is a 160 million years old bone, much older than the one I helped to assemble in the museum's public gallery (65 million years). This is probably how the dinosaur looked like. It was a very inspiring talk by Prof Leo Tan. Actually, I did not know about this talk until Dr Tan Swee Hee from RMBR emailed to inform me about this talk by Prof Leo Tan. I was not a member of STAS so I did not receive information about their Distinguished Science Lecture Series. 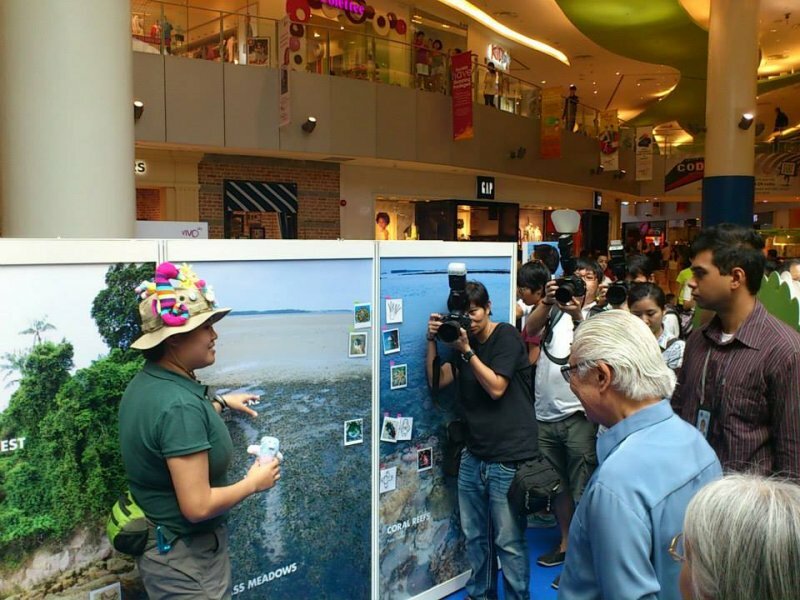 After the talk, I found out that there was a reason to why Swee Hee informed me about the talk - they had a photo of me speaking to the President at the recent Festival of Biodiversity in one of the slides. Unfortunately, I did not have a photo of that slide but the image used was something similar to this. Speaking to the President during the recent Festival of Biodiversity 2013. As I am typing this post, his comment sets me thinking... What is my dream? I do have one in my mind now and this dream was set after my work attachment ended - I would like to work at the Lee Kong Chian Natural History Museum. Whether this dream will come true or not is not a big deal. Remember, THINK POSITIVE! Of course, I have other dreams and they are kept somewhere in my mind. Some dreams may have been lost, some require deeper retrieval and some may need some modifications.